When tragedy strikes, it is often the small, quiet actions that are the most appreciated by those affected. The warm handshake, the understanding smile, the bowl of soup handed in at the door, the offer of help with suddenly overwhelming routine tasks. 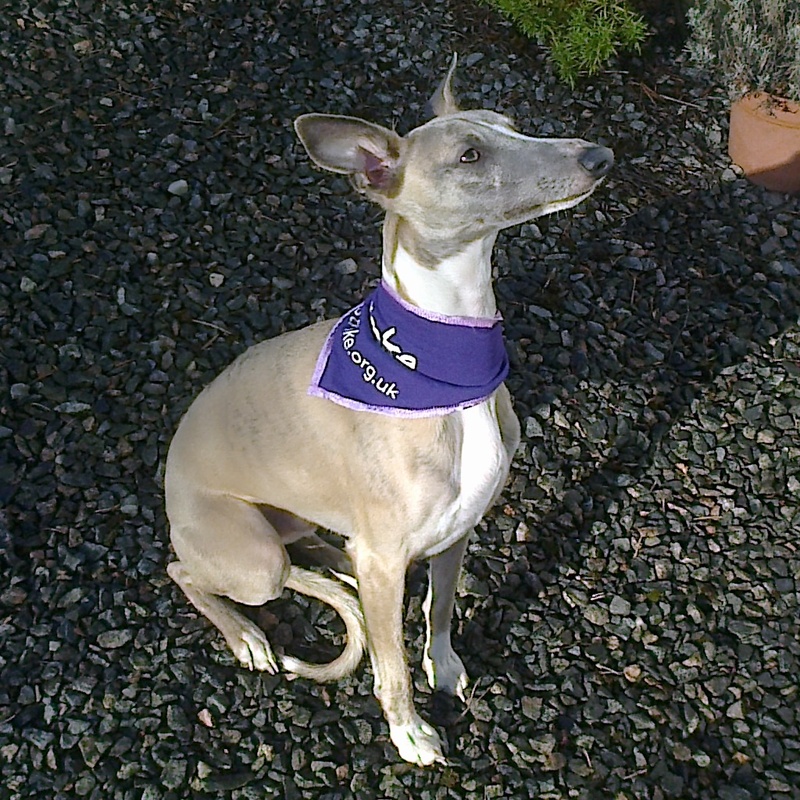 We knew all about being on the receiving end of such kindnesses after my stroke in 2004 and a couple of years later when we were flooded out of our home for over four months. Such kind actions remain in the memory always and have undoubtedly been both given and received in recent days by those on Deeside affected by the floods. 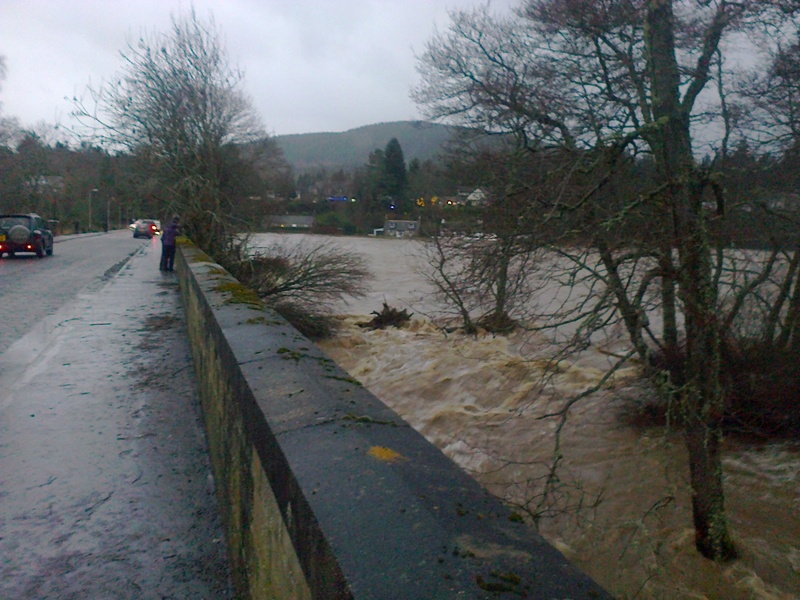 Today we learn that our sole bridge over the Dee at Aboyne is to be closed for safety reasons due to storm damage. Perhaps this is not surprising when you look at this picture again. The lack of a bridge is an inconvenience rather than a tragedy but it still makes the other side of the river seem like an ocean away. And some canine silliness – Archie, dashing about and undaunted by the rubbish and barbed wire that, since the flood, litters one of his favourite walks, has acquired a nasty crescent shaped cut on his forehead from something new and sharp in the landscape. The resulting red weal has given him an uncanny resemblance to a former Soviet leader. We may change his name to Gorbachev. There have been many offers of help to those affected by flooding, but if there are followers of this blog who wish to contribute help and are unsure about how to assuage their conscience, here is a possible answer. The Rotary Club of Aboyne and Upper Deeside has established a Flood Relief Fund, the purpose of which is to relieve hardship and provide assistance to the people and communities directly affected by the recent floods in the Deeside area. As many people are now discovering, the task of recovering from flood damage is one that goes on long after the events themselves have faded from the headlines – and we are not always talking about purely physical recovery here. There are few dramatic pictures during this time of rebuilding, but this fund aims – quietly – to support those individuals and communities who need it most during that lengthy process. This entry was posted in Uncategorized and tagged aboyne, deeside, rotary. Bookmark the permalink.